Hypoglycemia is a condition caused by a very low level of blood sugar. 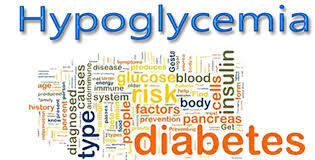 Hypoglycemia is often related to the treatment of diabetes. Immediate treatment of hypoglycemia is necessary when blood sugar levels are at 70 milligrams per deciliter (mg/dL).Treatment involves quick steps to get your blood sugar level back into a normal range either with high-sugar foods or drinks or with medications. Long-term treatment requires identifying and treating the underlying cause of hypoglycemia.